Savvy Spending: Free one year subscription to Family Circle Magazine! 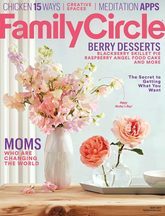 Free one year subscription to Family Circle Magazine! You can sign up for a FREE one-year subscription to Family Circle magazine courtesy of FreeBizMag. There are no strings attached and you will not receive a bill.